Within hours of President Rouhani’s return from five days in New York and the UN, Iran’s regime renewed its attacks on US intervention in Iraq and Syria. The senior military advisor to the Supreme Leader, General Yahya Rahim Safavi, led the rhetorical assault with the claim that the US-led coalition against the Islamic State is “politically-tainted and is aimed at securing Washington’s own interests in the Middle East”. Rahim Safavi asserted that the US’s real aim is to expand its military bases in the region and to make more money from weapons sales. He said that as “supporters of terrorists”, the US was not eligible to assemble an anti-terror coalition. He claimed that the West had equipped the same Islamic State which it was now confronting. 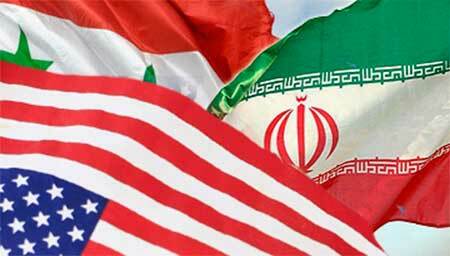 Iran has stepped up attacks on the US since the American aerial intervention in Iraq on August 8. The line eased while Rouhani was at the UN — although the President criticized US-led airstrikes in Syria — however, officials such as Speaker of Parliament Ali Larijani have maintained the hostile rhetoric.